Typically I cover fun or funny kinds of products. They are not without their purposes or consumer markets, but this time I’m going to talk about a product that serves a pretty important function. 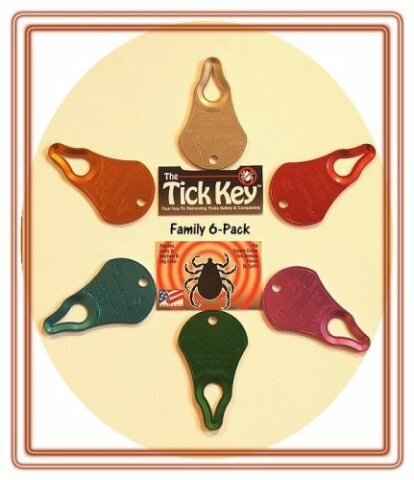 The Tick key is a handy little gadget that attaches to your key ring. While its look is rather unassuming, it can really save your health. Lyme disease seems to be everywhere these days and it’s particularly concerning for those who regularly enjoy outdoor pursuits such as hiking, camping, biking, etc. If left undiagnosed or untreated, the effects of the disease can be devastating and lifelong. Of course, there are precautions that can be taken to reduce one’s risk of being bitten by a tick, but they are not foolproof. Fortunately, the Tick Key offers an added layer of defense and it’s easy to carry and use. 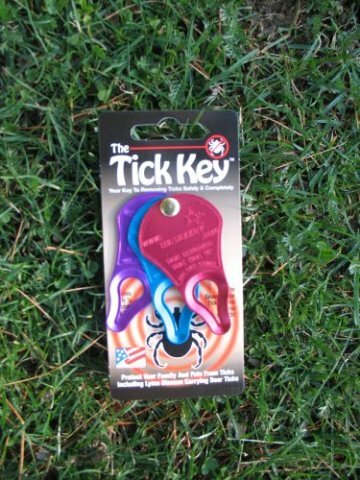 The Tick Key is a small device that is 99.9 percent effective at removing ticks. It uses forward leveraging and get ticks out without touching or squeezing them, even when they are very engorged. The Tick key can be used easily on both people and pets. Simply place the slot of the key over the tick and slide along the skin away from the tick. The device removes the entire tick, so no part is left to cause an issue. 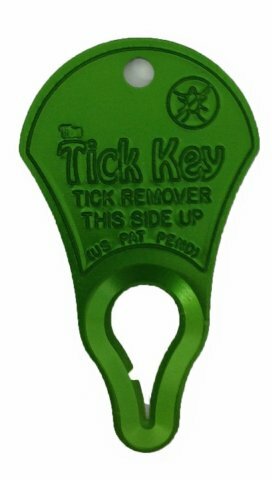 Tick Key is made to last. It is constructed of strong anodized aluminum. It comes in a range of colors. Even better, the Tick Key takes up very little room so that it can be stashed in a wallet or pocket. It also has a hole at the top so that it can be threaded onto a keychain or leash to be available when needed. To read more about what others have to say about the Tick Key or to purchase, click here.